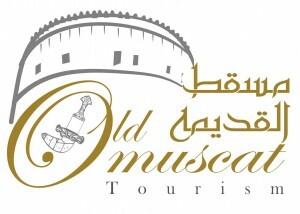 Old Muscat Tourism is a tour operator based in Muscat, Sultanate of Oman. We called ourselves Old Muscat Tourism, as we want to be associated with the kind of tourism that put Muscat right at the center of the tourism map, rich both in cultural diversity and natural wonders. We understand that a huge part of that blissful holiday glow is attributed to successful travel planning. And we at Old Muscat Tourism simply take pride in knowing that careful but creative travel planning is not our goal, but our standard. If you want to have a relaxing beach holiday in one of Oman’s resorts and hotels or if you feel adventurous enough to brave the deserts and wadis, you can always lean on us to help you craft your holiday itinerary. We guarantee that we can be your reliable local partner, whatever your definition of a perfect trip to Oman will be. To be internationally recognized as the premier provider of innovative and exceptional tour products and services while maintaining high quality service. To showcase the cultural and natural wonders of Oman in our tour packages, thereby making it a destination of choice both by local and international travelers. We create new benchmarks in the field of tourism through our commitment to innovative travel, unfailing delivery of value in services and assurance of a safe and happy travel. Our experience in the tourism industry has built a culture of excellence, as evidenced by our need to provide total comfort, unfaltering safety and above- expectations level of customer care to our clients. We make reliability and safety our standard, and as we understand that these are things that our clients need and relish. Headed by our Managing Director, we are composed of personnel who have had almost a decade of experience in the field of tourism. Thus, our team is our biggest asset and strength. Our personnel are well-trained and dedicated. They understand that customer satisfaction is not only their goal, but the standard of what we do as a company. For many, travelling is a dream. And with this, we want to be the ones to help you make your dreams come true by providing unparalleled service. Our tour packages are very customizable, fit to every traveler’s needs. Our goals as a company go beyond the walls of our office. We at Old Muscat Tourism continue to work on creative ideas and explore new areas of tourism for Oman. We want to be at the forefront of bringing up the number of tourist arrivals to Oman.